The most popular white danceband leader of the swing era, Miller was also an influential arranger, who had an important impact on the music of several bands in the 1920s and 1930s, most notably those of drummer Ben Pollack and the Dorsey Brothers. He was in Pollack's band from 1926 until almost the end of the decade, playing alongside many significant figures including Jack Teagarden and Benny Goodman. His arrangements for the Dorsey Brothers in the early 1930s experimented with transferring Dixieland to large bands, something later done successfully by Bob Crosby. But it was Miller's arrangements for his own bands, and notably the one he led from 1938 that were responsible for his great popularity. These involved sentimental ballads such as Moonlight Serenade, in which he adopted the trademark of the clarinet doubling the melody with the saxophones, and simplified uptempo swing dance tunes, such as In The Mood. Through discs, films and broadcasts, Miller became nationally popular. In 1942, he broke up the band and enlisted in the US Army Air Force. He formed a band within the service to play dance music, and travelled with it to Europe, becoming hugely popular in wartime Britain, where his band recorded and broadcast frequently. In December 1944, he set off to the recently liberated Paris to organise a Christmas concert, but his plane was lost over the English Channel. His band continued to appear during the war years, and various versions of the group have been put together to tour since then, keeping his hugely popular arrangements before the public. 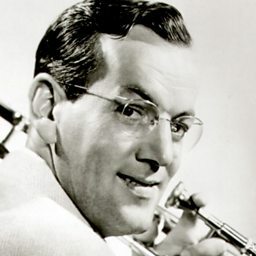 Alton Glenn Miller (March 1, 1904 – December 15, 1944) was an American big-band trombonist, arranger, composer, and bandleader in the swing era. He was the best-selling recording artist from 1939 to 1943, leading one of the best-known big bands. Miller's recordings include "In the Mood", "Moonlight Serenade", "Pennsylvania 6-5000", "Chattanooga Choo Choo", "A String of Pearls", "At Last", "(I've Got a Gal In) Kalamazoo", "American Patrol", "Tuxedo Junction", "Elmer's Tune", and "Little Brown Jug". 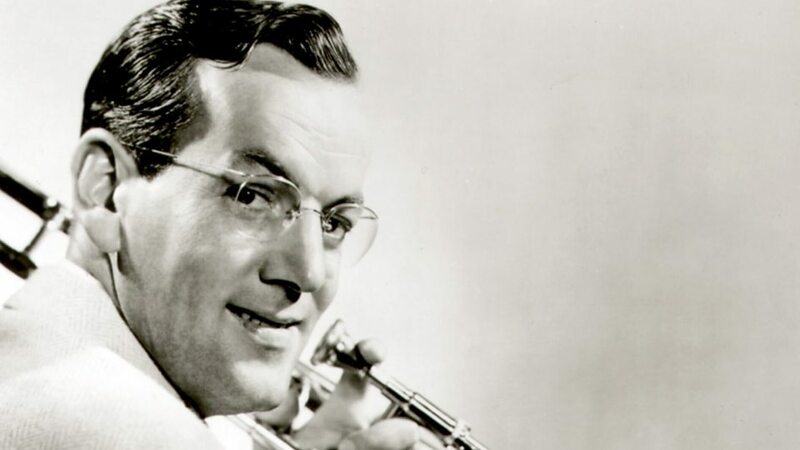 In just four years Glenn Miller scored 16 number-one records and 69 top ten hits—more than Elvis Presley (38 top 10s) and the Beatles (33 top 10s) did in their careers. While he was traveling to entertain U.S. troops in France during World War II, Miller's aircraft disappeared in bad weather over the English Channel.